The rising cost of health care is a thorny topic on its own to say the least. Now, add in a few multi-million dollar naming rights deals and throw out a poll question and well, you can probably see where this is going. The comments (here) show just how difficult it is for consumers to process a marketing investment in light of their own rising insurance premiums. 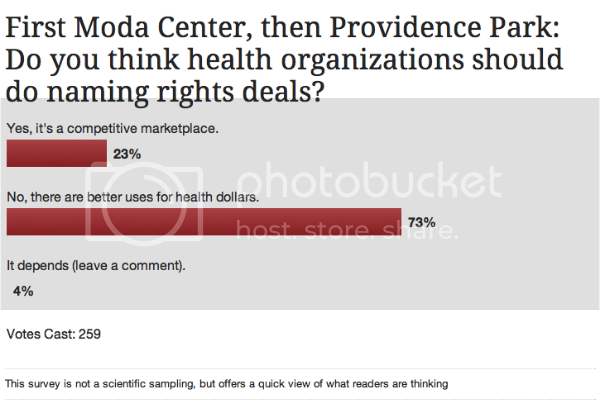 Something for your PR team to keep in mind if you're a healthcare marketer that's evaluating sponsorships or you're interested in pitching healthcare companies, particularly non-profits, on a big dollar opp.